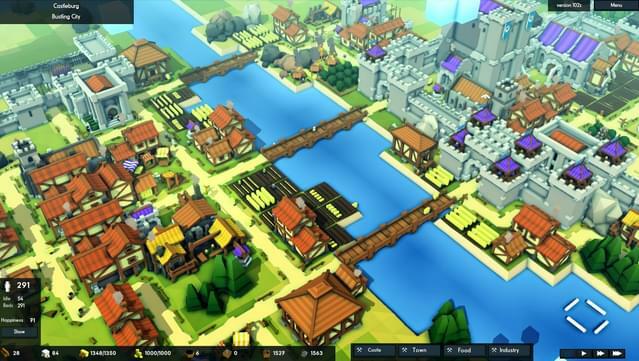 Layout and expand your town strategically to improve your peasants' happiness and to attract new residents. But make sure to tax them just enough so that you can fund your castle. Make sure your peasants are fed in the winter and healed of plagues. 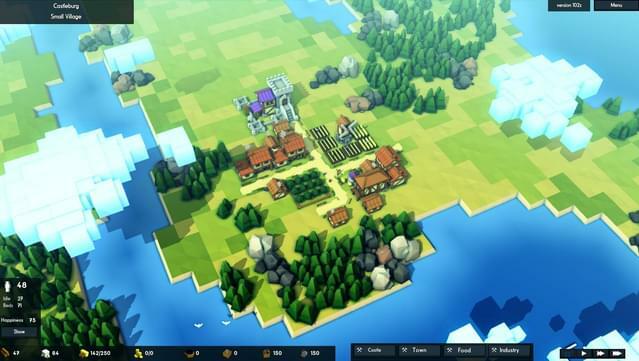 Build churches to keep them from despair and taverns to keep them happy. You can even throw festivals if you've built a town square! 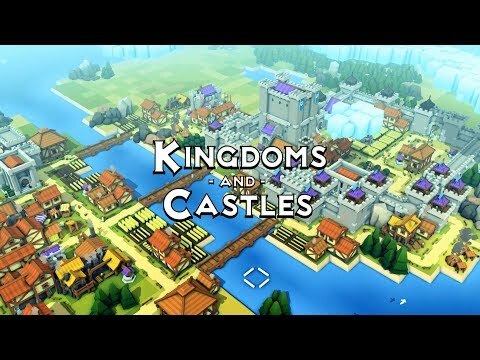 Send out wood cutters to collect wood, set up stone quarries to build your castes, and farm the land efficiently so your town can grow and thrive. The new land you're settling is at risk of viking invasion. 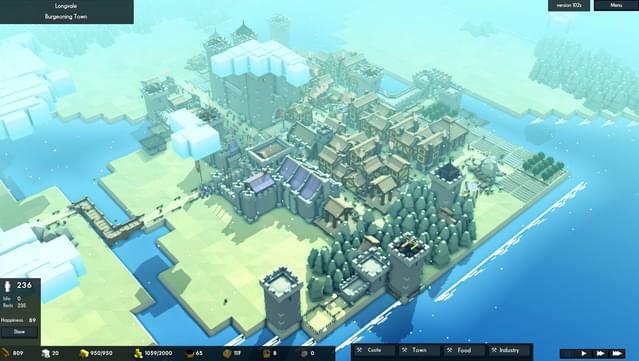 These raiders seek to kidnap and kill your peasants, steal your resources, and burn your town to the ground. 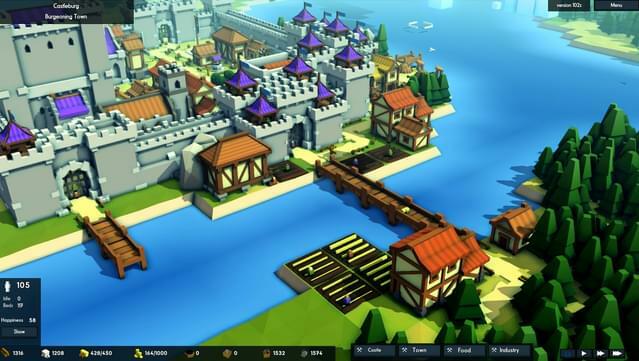 Use a powerful castle building system to create walls and towers to defend against the viking threat. 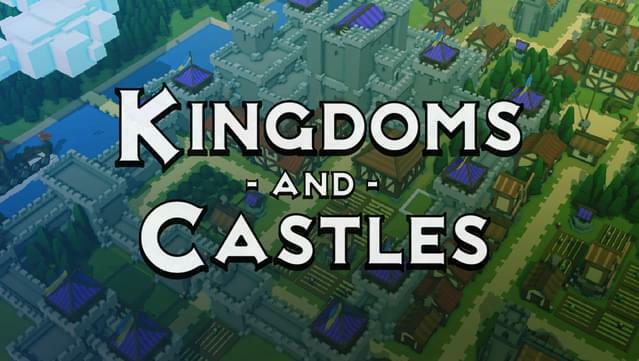 Castles are constructed using blocks which can be placed anywhere. 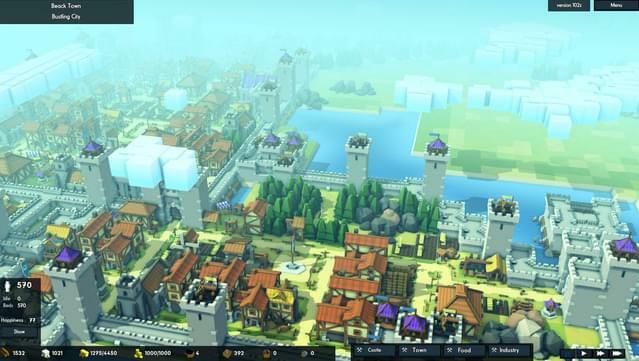 Towers and walls are dynamically created based on how you stack and arrange them. You can place archer towers and other weapon emplacements, their range is affected by the height of the their tower. 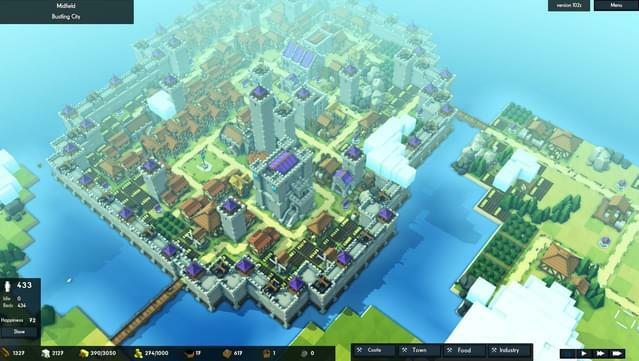 The castle building system is very flexible and allows all sorts of castle designs. You can try many different layouts to best protect your kingdom and express your glory and power as a king or queen. And it all takes place in a beautiful dynamic world with a stylized procedural cloud system and season cycle from summer to winter. A realistic tree growth algorithm simulates the forests. Depending on your needs, wood cutters can clear cut or responsibly manage your forests. Linux Notice: For open source drivers users, (Radeon cards), Mesa 17 driver or newer is recommended.